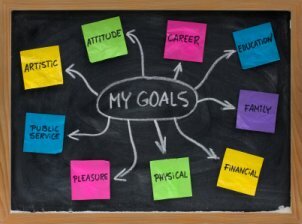 Is financial goal setting really that difficult? Well “If you don’t know where you are going, any road will get you there” to quote baseball great, Yogi Berra, says more about the problem with goal setting than most books on the subject. In his quote, Yogi reveals the financial goal setting trap which many people fall into and the reason why they fail to get to where they want to go. The problem is not that people fail to set goals. The fact is that most people do set goals. We are all taught to do that early on from our parents, coaches, teachers. The real problem is that, most of the time the goals are not clearly defined or they are not ambitious enough. When goals are ambiguous or too easily attainable, they won’t spark the motivation that will truly drive a person to take action. The same can be said for goals that are too ambitious, beyond the reach of a person’s capacity to achieve them. In both cases, the goals may lack any true meaning and plans developed around them will not be taken seriously. A financial goal needs to be clear and important enough to inspire a person to create a plan follow the road, and overcome obstacles. To do that, a goal needs to be based on a vision one has of what achieving the goal will do for them and how it will make them feel. Simply setting target dates and dollar amounts carries no emotional weight, but a goal that can be put into pictures that produce a feeling of well being becomes the emotional impetus to take action. A reach goal supports your vision, but it may be just beyond your current capacity to achieve it. Your primary obstacle may be current earning and savings capacity, but the goal is important enough for you to work to overcome the obstacle. 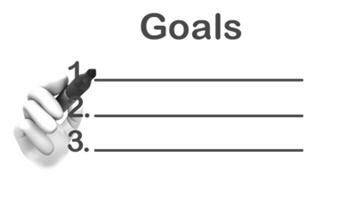 A safe goal also supports your vision, but it may be a scaled downed version, or set with a longer timeline to achieve it. It’s a doable goal based on your current situation. As your situation improves and your savings capacity increases, you can ratchet up your safe goal. If you can’t visualize or describe it to someone, it is probably not a true goal or at least one that will motivate you to action. We all want to retire, but do we know what retirement will look or feel like? How will we use our retirement time to pursue our passions, hobbies? How important is it to be able to do it? The more these questions can be asked and answered, the more vivid the image of retirement becomes. Goals that are visualized and verbalized, often, become more real and meaningful. People lose interest in their goals when they can’t measure their progress towards achieving them. 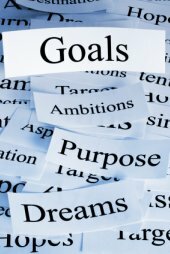 Meaningful financial goal setting can inspire meaningful plans which provide action steps that can be followed. Your plan should include benchmarks or milestones that will indicate whether or not you are on the right road to your destination.